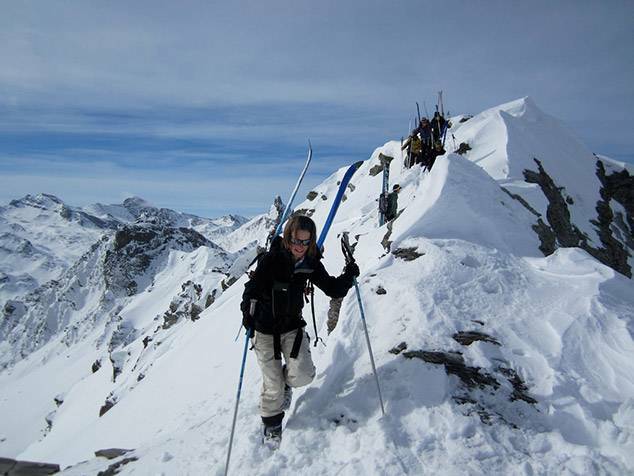 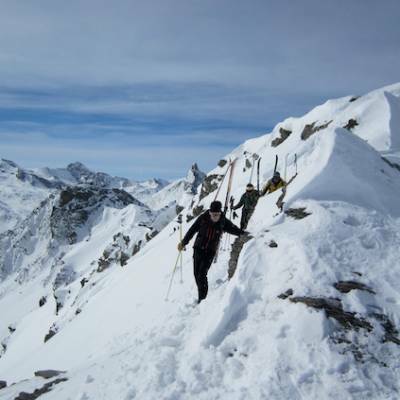 A guided ski touring trip in the Southern French Alps exploring the awe inspiring Queyras Regional Nature Park and its 3000m summits: a ski tourer's paradise! 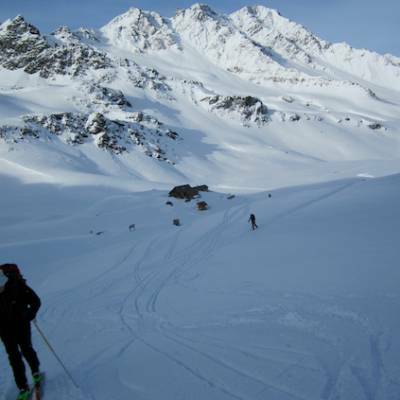 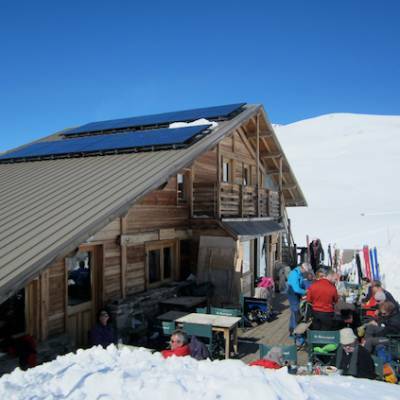 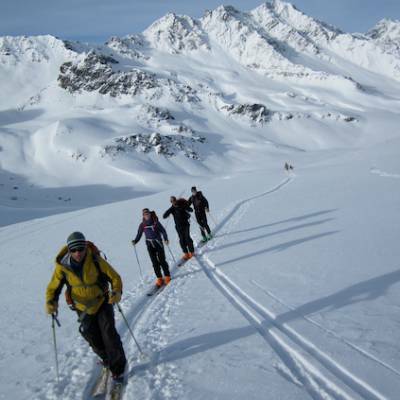 This is a multi day, refuge to refuge ski tour but with two nights in each refuge for optimal flexibility. 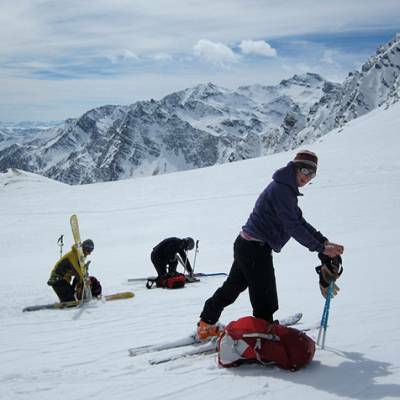 This makes it easy for the high mountain guide to adapt the ski tours to take into account the conditions and abilities of the group. 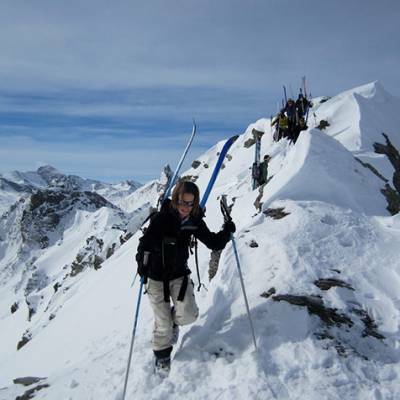 Ski tour off into the wilderness of the Queyras Regional Nature Park in the Southern French Alps! 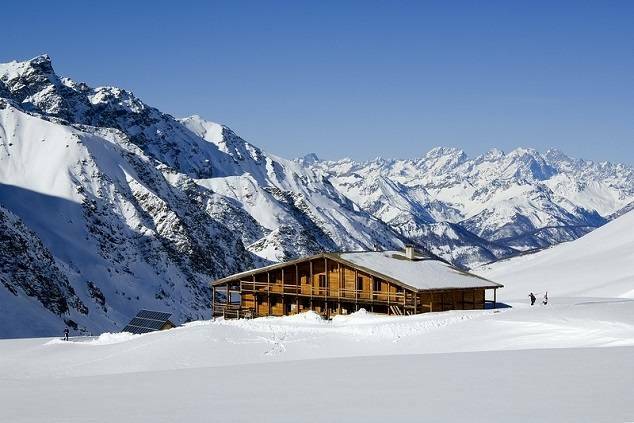 Immerse yourself in this stunning high mountain environment: dramatic snowy peaks and cliffs, gullies of freshly fallen powder, wild animals watching you from their rocky outcrop and just a few high mountain refuges to remind you of civilisation. 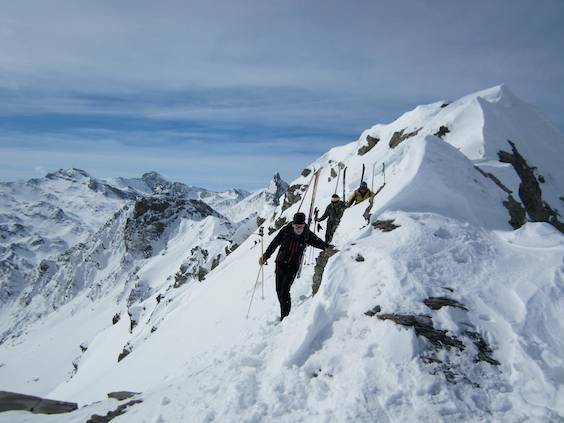 The Queyras has an excellent reputation for ski touring and back country skiing in France and the Alps in general, with a huge range of ski tours for all levels and abilities which are easily accessible from a number of mountain refuges. 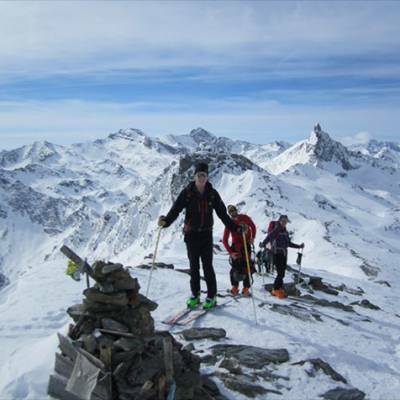 It has a very good snow record with lots of it and benefits from the Southern French Alps sunny weather making it a perfect spring ski touring holiday destination. 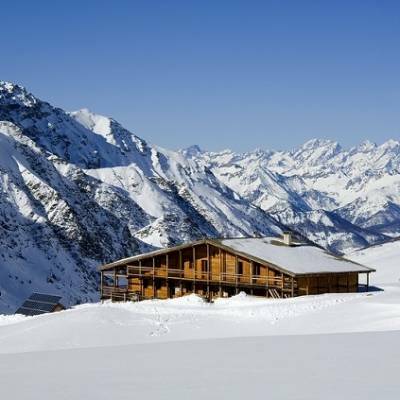 This ski tourer's paradise is made all the more welcoming by the high quality of these refuges - some with hot showers and running water no less! 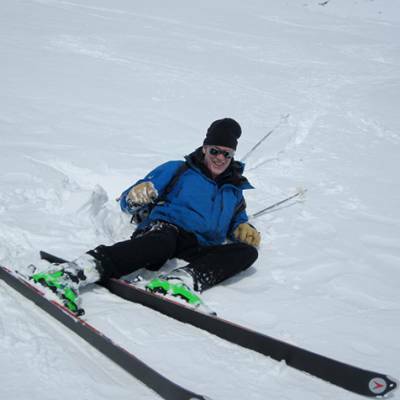 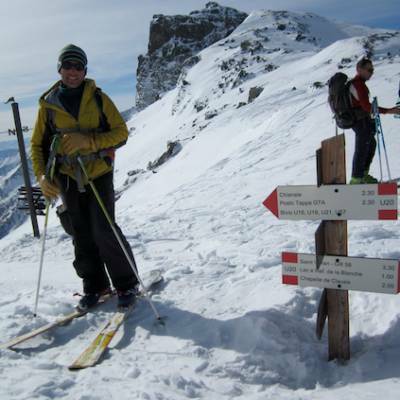 Your guide for the trip is an experienced UIAGM high mountain guide and ski instructor local to the area. 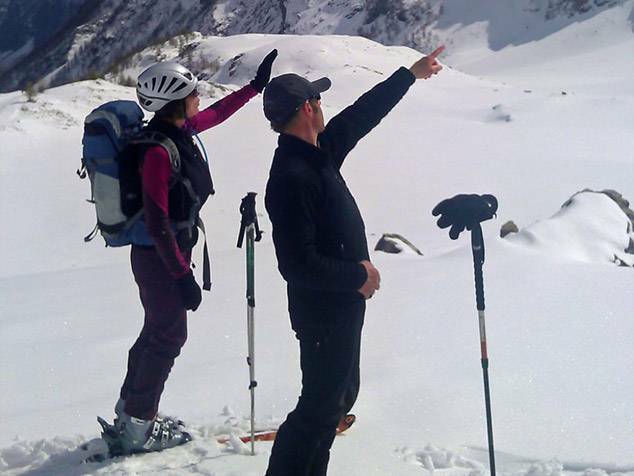 He has lots of local knowledge and will make your safety his top priority. 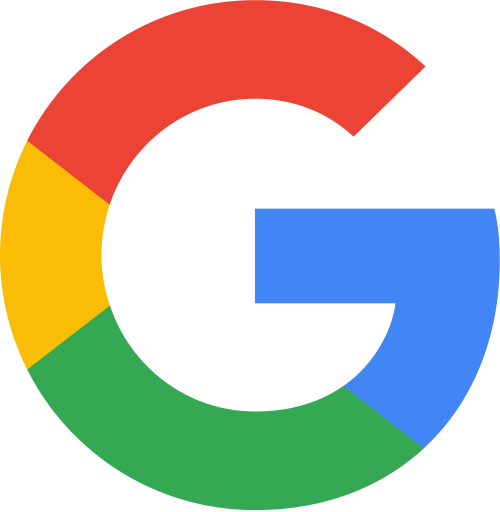 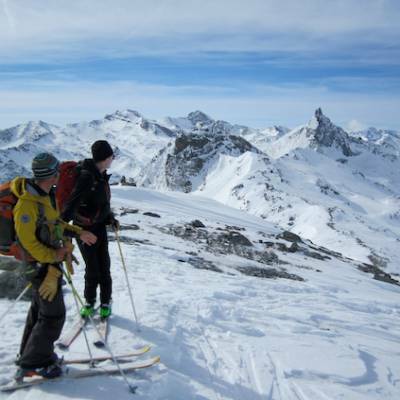 All technical equipment including ski touring boots, ski touring skis, skins, couteaux (ski crampons) and avalanche safety equipment is included. 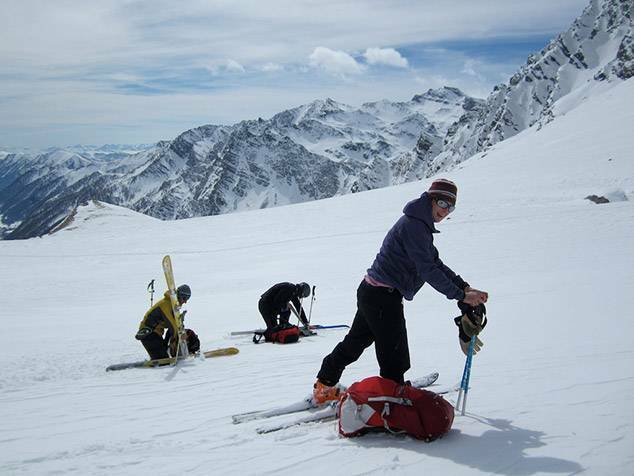 For your own personal kit, have a look at our ski touring kit list for ideas on what to pack for this adventure! 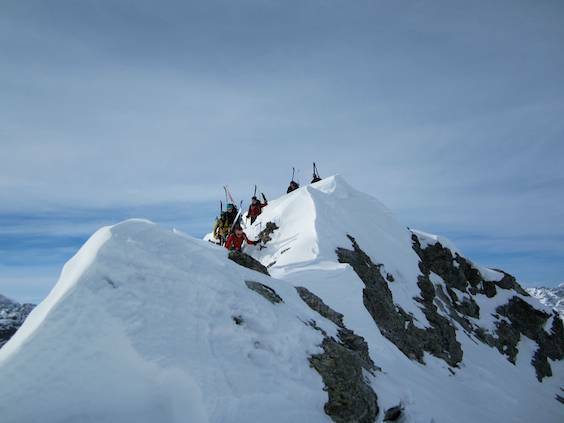 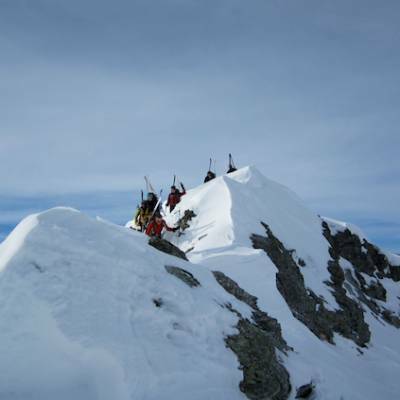 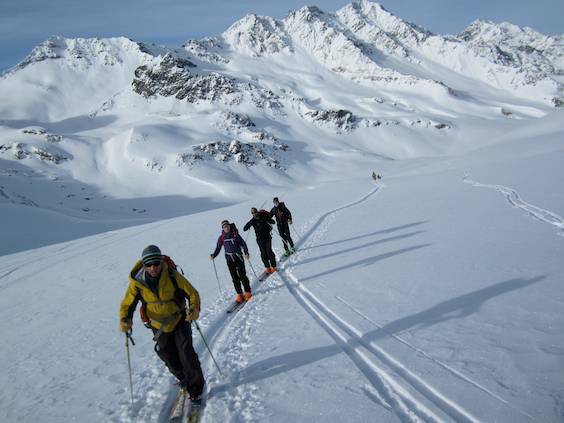 Read all about ski touring on our blog! 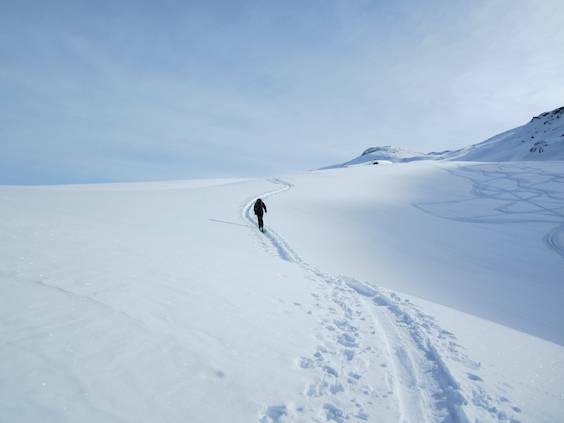 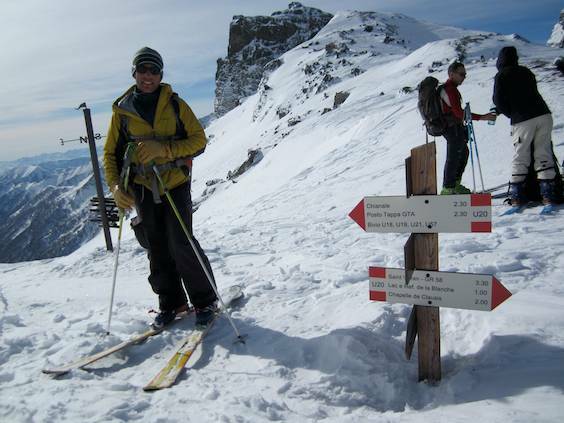 Ski touring experience is an advantage for this trip but not essential. 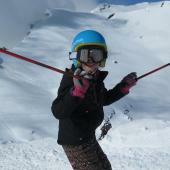 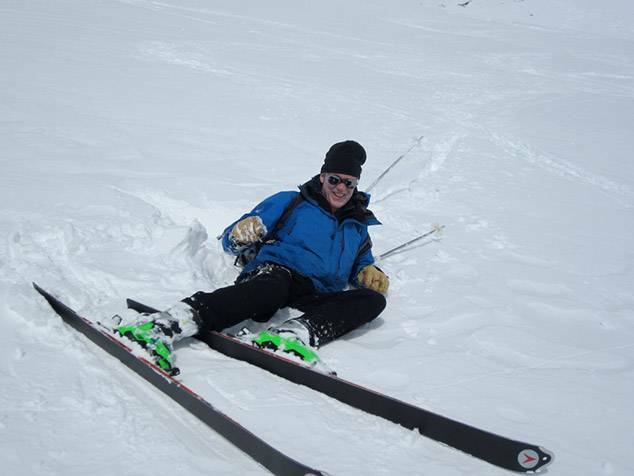 You need to be a competent piste skier with some off piste experience and have a good fitness level. 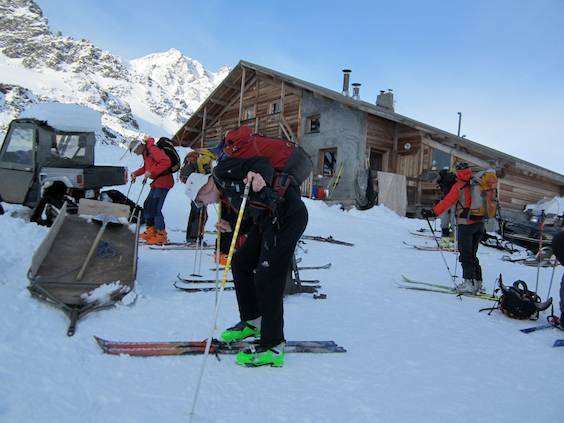 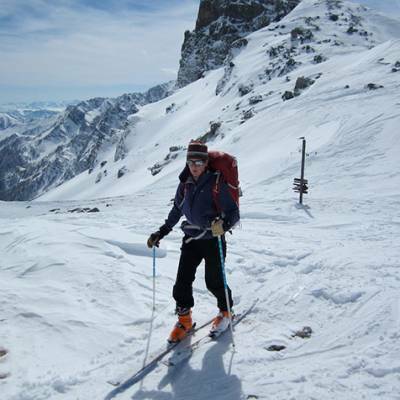 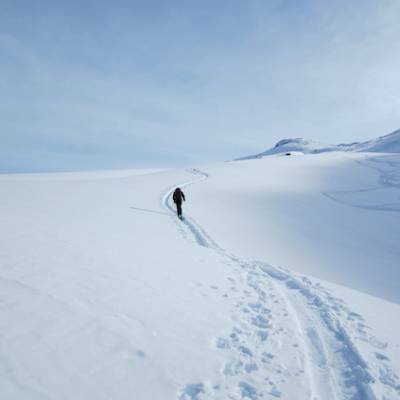 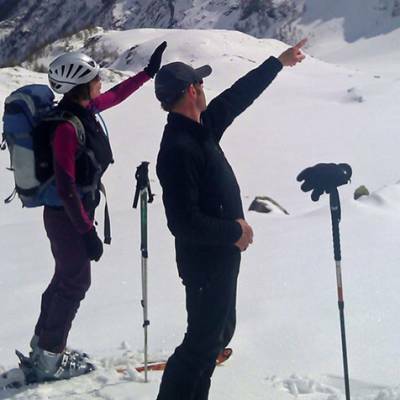 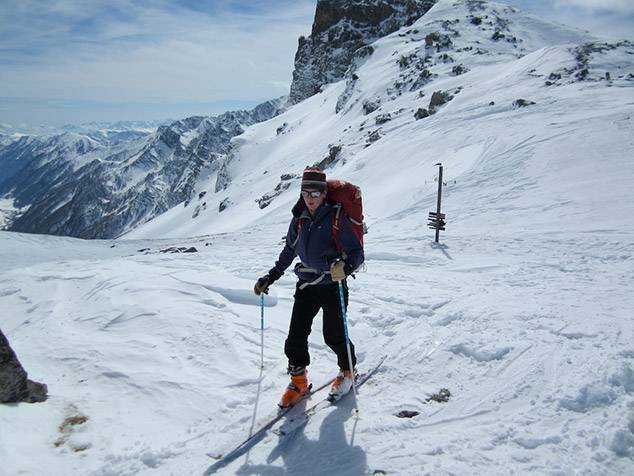 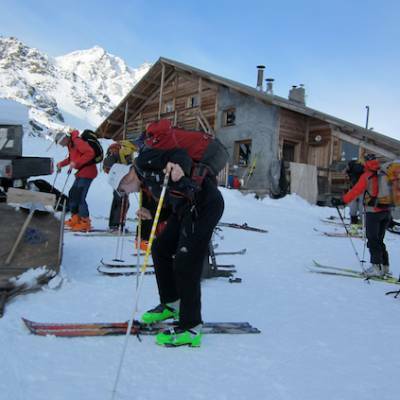 Have a read of our blog to see if you have the fitness and skiing ability for ski touring. 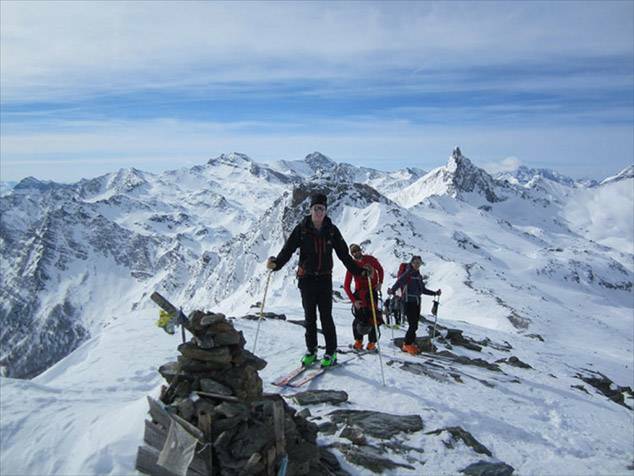 If you are looking for holiday staying in once place with day ski tours have a look at our Ski Touring Week in the Ecrins trip. 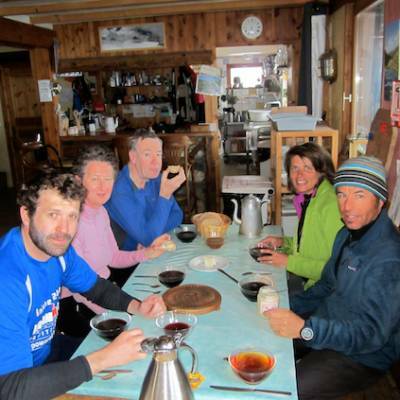 We can also arrange private guiding for groups of four or more booking together on other dates and with a tailor made itinerary for you. 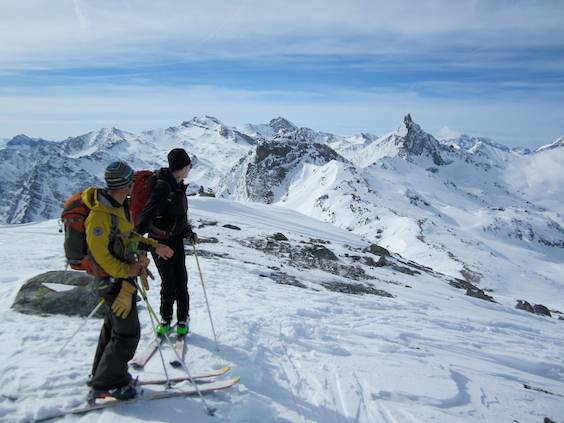 This trip starts in Guillestre and the nearest train station is Montdauphin - Guillestre which is on the Gap - Briançon line. 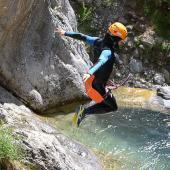 There are SNCF train services from Paris, Valence, Grenoble or Marseilles. 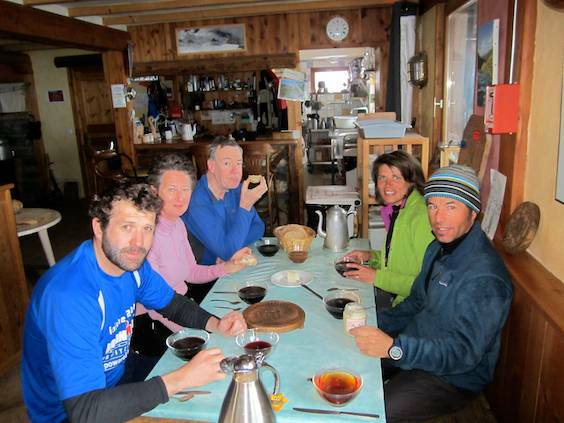 If you are coming by the overnight sleeper from Paris the nearest stop is Gap. 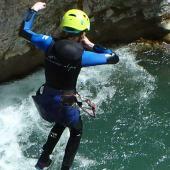 You can also fly to Grenoble or Marseilles and then catch the train to Montdauphin - Guillestre. 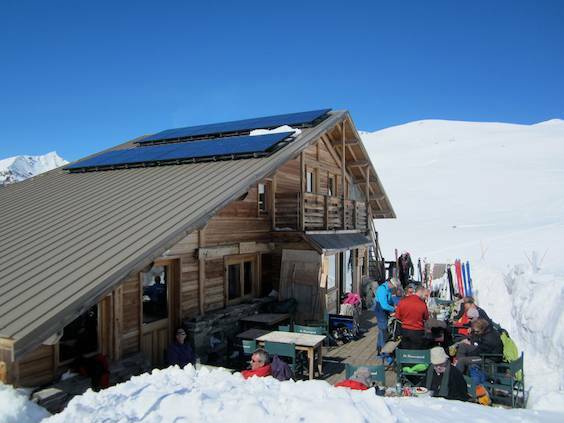 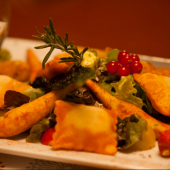 The guest house is a short taxi ride from the train station (10 - 15 euros). 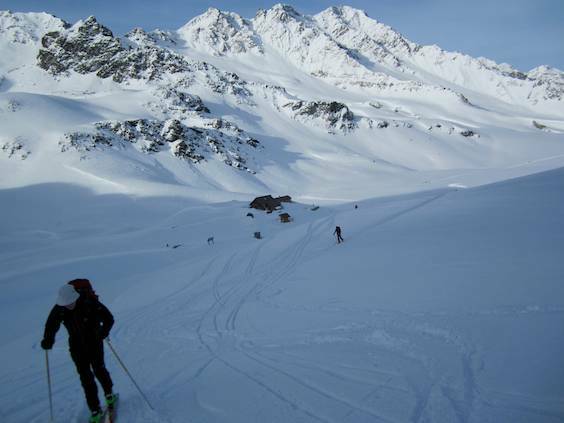 Please ask us about transport options when you enquire as we have become pros on getting people to this beautiful region!